Vero Beach woman yells for help from ditch after leaving Klub Kar without paying. VERO BEACH – A 53-year-old woman was found laying in a ditch with her dog after running from Klub Kar without paying for the fare. 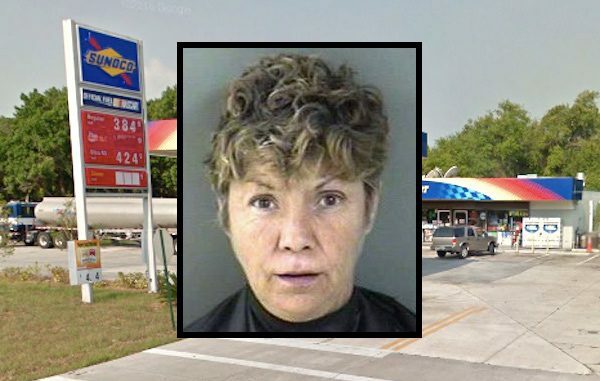 Susan Wasden asked to be dropped off at the Sunoco on 27th Avenue on Sunday, according to the Klub Kar driver. When they arrived, Wasden exited the cab and took off running with her dog. The Klub Kar driver said she was intoxicated. Deputies from the Indian River County Sheriff’s Office canvassed the area to locate Wasden. During the search, they heard a female yelling for help in the ditch. A deputy located Wasden and her dog sitting down in the mud on a ditch bank. When asked why she was in the ditch, Wasden said she “was not paying for the ride” and fell into the ditch. Wasden was arrested and transported to the Indian River County Jail where she was charged with Retail Theft Avoid Transit Fare. In January, Wasden was arrested for assault and battery near her Vero Beach home. She also told police that she works for the CIA.